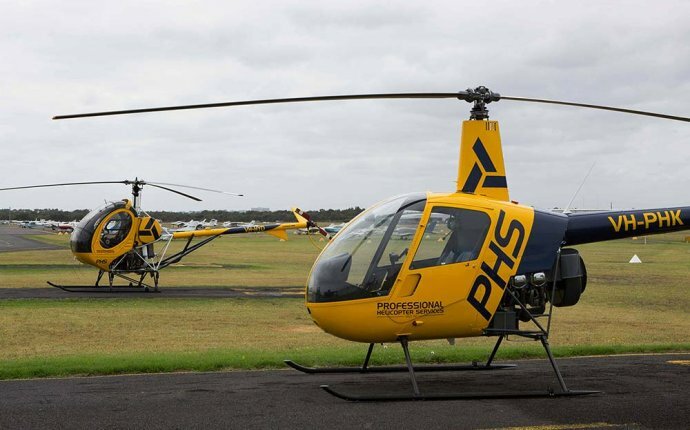 In Australia, there are two types of licences available: Commercial Helicopter Pilot Licence (CPL(H)) and Private Helicopter Pilot Licence (PPL(H)). The CPL(H) qualifies you to work as a helicopter pilot anywhere in Australia, while the PPL(H) allows you to enjoy flying helicopters for leisure. Both licence types require you to obtain a Student Pilot Licence (SPL) before completing between 50 and 125 hours of flight training time. You are then required to complete the appropriate Civil Aviation Safety Authority (CASA) theoretical examinations before a flight test with an authorised testing officer. A minimum of 125* hours flight experience in accordance with the CASA-approved flight training syllabus. A Class 1 Aviation Medical Certificate. Demonstration of adequate aeronautical knowledge in seven helicopter-specific theoretical examinations. Successfully passing a practical flight examination. *Flight experience for the CPL(H) can be reduced to 105 hours if the last 30 hours are completed within 90 days and the licence is completed on a maximum of two aircraft types, with a minimum of 20 hours on each aircraft. A minimum of 50 hours flight experience in accordance with the CASA-approved flight training syllabus. A Class 2 Aviation Medical Certificate. Demonstration of adequate aeronautical knowledge in a PPL helicopter theoretical examination. Please note: The flight experience required by CASA does not take into consideration the individual progress of each student, so as a precaution we recommend budgeting for additional hours above the minimum required. Do you already hold a fixed wing licence? Private Pilot Aeroplane: 80 hours for a CPL(H) and 38 hours for a PPL(H). Commercial Pilot Aeroplane: 70 hours for a CPL(H) and 38 hours for a PPL(H).